The air quality in Delhi usually starts plummeting during October-November due to slow winds and dropping temperatures. NEW DELHI: Underlining the adverse impact of stubble burning on a person's health, Ravi Wankhedkar, president of the Indian Medical Association (IMA), has advised people to stay indoors or wear N-95 masks at the time when smog envelops the region around November. 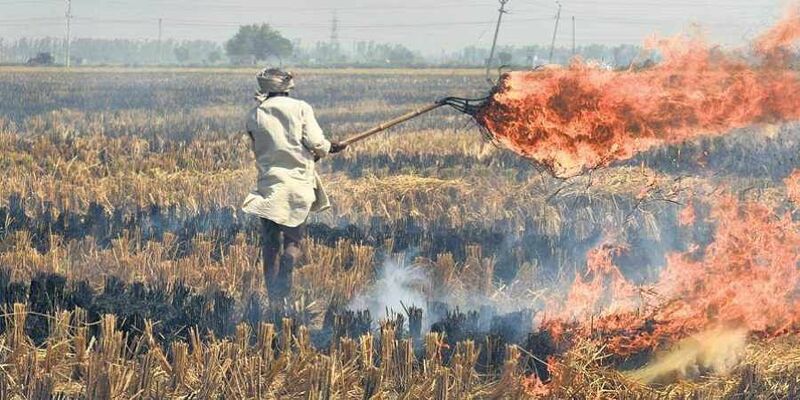 Speaking to ANI, Wankhedkar said that burning of crop residue leads to respiratory diseases like Tuberculosis and is equally harmfully for diabetic and cancer patient undergoing chemotherapy. "Stubble burning leads to respiratory diseases like Tuberculosis. People must stay indoors and those who go out must wear N-95 masks," he said. As the harvest season is around the corner, the threat of air pollution in the northern region is looming due to the burning of paddy stubble in the neighbouring states. Despite the prohibition on the burning of crop residue, stubble burning has been witnessed in several adjoining states of the Delhi and the National Capital Region (NCR). Pollutants like sand particles and smoke closer to the ground get trapped because of this weather condition, turning the national capital into a virtual gas chamber.